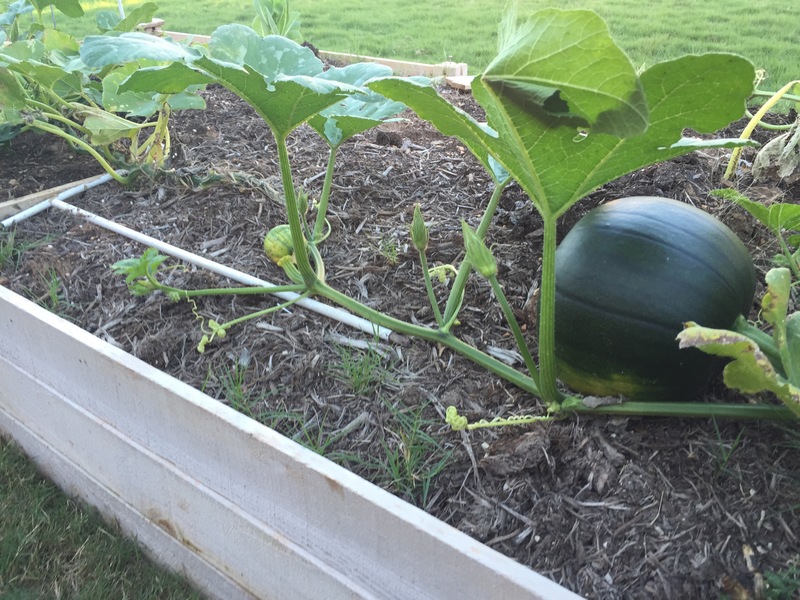 So, it appears at least two of my pumpkins have survived their battle with the squash vine borer. I say appears because I won’t totally believe it until the pumpkins are orange and decorating my front steps. But really, it’s been about 6 weeks since the vine borer first reared its ugly head. Since then, I’ve lost at least a half dozen tiny pumpkins. Like the one to the far left of the pumpkin in the photo above, they have shriveled up, withering on the vine. But for some reason, two others have kept growing and actually look like they’re going to make it. 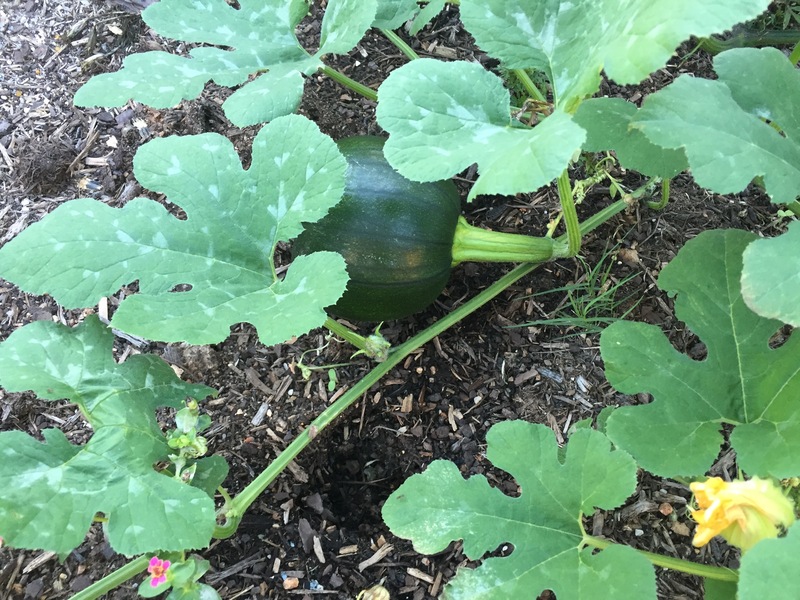 I may have fall pumpkins after all! It’s a bummer when pumpkins go bad before Halloween. I figured I’d try fall pumpkins because it might be too hot here in September and October for them to stay nice and orange long enough. So I bought pumpkins for Halloween and hope I’ll have my own for Thanksgiving!